The Canon 600mm f/4 IS II is a super telephoto lens with 3 stabilization modes, including one that allows you to pan with fast-moving subjects without compositional interference from the IS. An AF Stop button will pause autofocus and allow for manual focus override. You have full control over what you're focusing on with this lens, even while shooting video thanks to a Power Focus mode which produces a very smooth transition between focus/out-of-focus. Even though this lens is over a foot long, it is quite lightweight because of its magnesium/titanium build. It can be hand held but should be paired with either a monopod, tripod, or gimbal-style head. This lens is also weather sealed and is compatible with teleconverters. 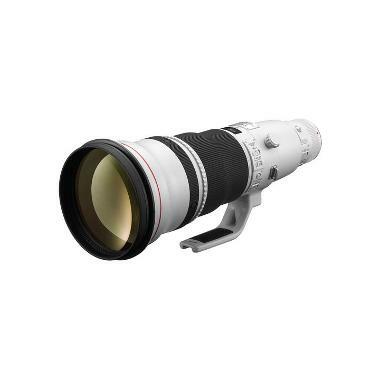 The Canon 600mm f/4 IS II lens is ideal for wildlife and sports photography. • This lens does not accommodate front, screw-on style filters.